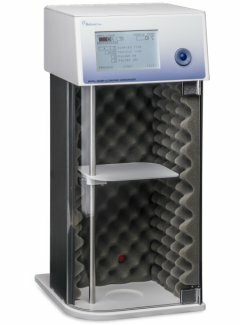 BioLogics, a USA manufacturer and leading innovator of Cell Disrupters (Ultrasonic Homogenizers) for the Life and Analytical Sciences. 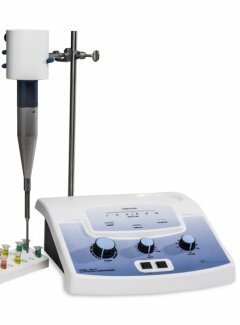 Our family of Cell Disrupters (Ultrasonic Homogenizers) offer precision engineering with all the features necessary to create a total system for ultrasonic disruption. They can disintegrate most cells, bacteria, spores or tissue. They can prepare an emulsion down to 1/100 of a micron, homogenize "immiscible" liquids, accelerate enzymatic and chemical reactions, stimulate bacterial activity, disperse solids in liquids and degas liquids. 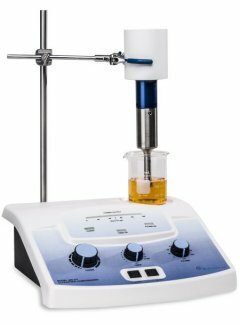 The Model 3000MP Ultrasonic Homogenizer delivers 300 watts of ultrasonic disruption with precision control from a microprocessor and a graphical user interface displayed on a large bright 5.7" (145 mm) LCD display. 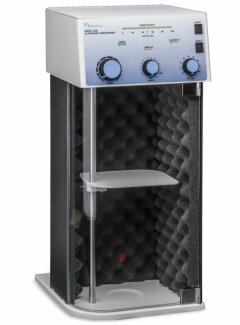 The instrument includes an integrated sound abating chamber with height adjustable sample table.